Our product range includes a wide range of e and h hmi and forbes marshall hmi. With the aid years of understanding of this domain, we provide patrons with the superior quality of E and H HMI. 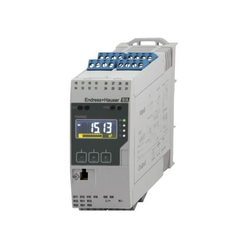 Procured from trusted vendors, the E and H HMI are used for human-machine interaction. Known for its high performance and easy installation, the E and H HMI is precisely fabricated by using modern machinery at the vendors' end. Our team of hardworking professionals leaves no stone unturned in presenting patrons with the superior quality of Forbes Marshall HMI. For controlling of the machine and allowing their effective operations at the man end, the Forbes Marshall HMI is used. Easy operation, consistent performance and user-friendliness, make the Forbes Marshall HMI highly demanded.